Memorial Day weekend is just around the corner, and you’re probably starting to pull out your favorite warm-weather clothes for the season, if you haven’t already. If a few of your older pieces are looking too tired for another summer of fun, why not consider tie-dying them? The easy-to-do art project was probably a childhood favorite (and is still a hit with kids, if you have them), and even though the ’60s Grateful Dead multicolor vibe remains a bit tired, there are some new, more tasteful looks utilizing the old-school technique. 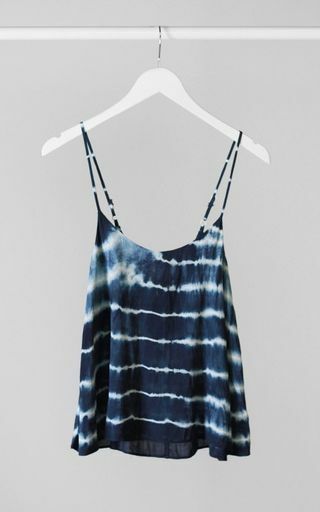 Here are a few of our favorite ideas for tie-dying without going overboard. One color: Rather than aiming for every color in the rainbow, try using one shade in a more subtle way– especially blue, which is mega-trendy at the moment. A white jersey tank dress would look great with swirls of navy or indigo, or try a whispery light blue on a loose white sweatshirt. 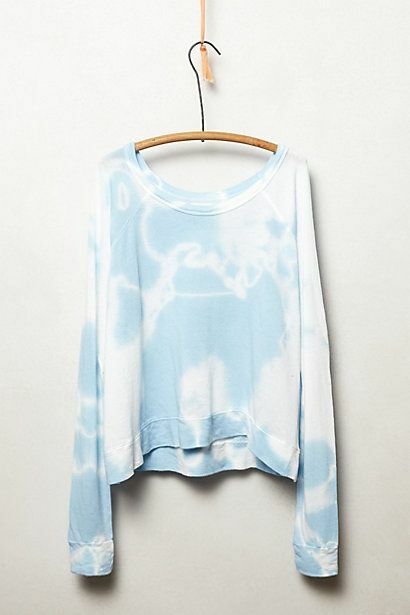 Unexpected pieces: Not ready to adorn yourself head-to-toe with tie-dye? Consider doing a little pop of it as an accessory. 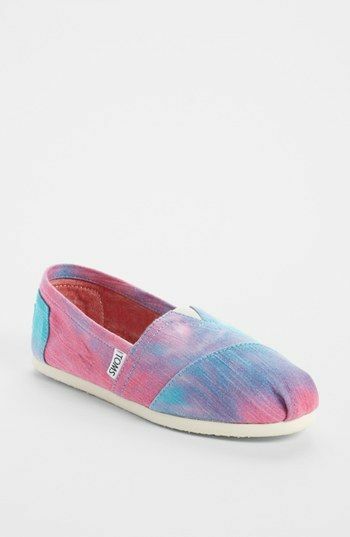 A pair of plain canvas TOMS, a standard canvas tote bag, or a white scarf are all interesting venues for a tasteful touch of tie-dye. Have any great memories of childhood tie-dying? Let us know in the comments.